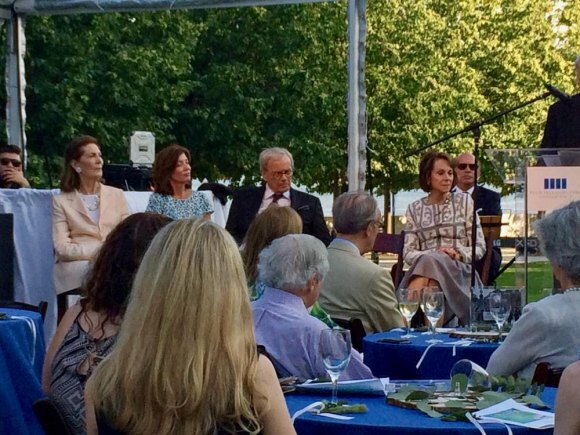 Sunset Garden Party is Four Freedoms Park Conservancy's major, annual fundraising event. 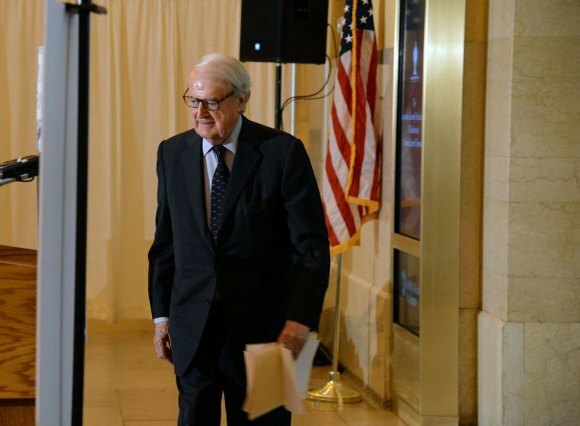 This year, on June 13th, from 5:00 to 8:00 p.m., they will honor the park's founder, 88 year old foreign policy expert and Chair Emeritus of the Roosevelt Institute, William J. vanden Heuvel. The announcement cites vanden Heuvel's "...peerless work as the guardian of FDR's vision for human rights." Last year's event, honoring Journalist and author Tom Brokaw, was an opportunity to recognize a legend in a location that resonates with the human rights oriented foreign policy President Franklin D. Roosevelt put front and center in his Four Freedoms speech, ostensibly his 1941 State of the Union but in reality much more than that. Lawyer, diplomat and sometime politician, vanden Heuvel began his career in 1953 as an executive assistant at the American Embassy in Bangkok, Thailand. His illustrious work history includes service as assistant to Attorney General Robert F. Kennedy. He was also active in Kennedy's political campaigns until his assassination in 1968. In 1965, he joined Stroock & Stroock & Lavan as Senior Partner where he practiced international and corporate law. He is currently Senior Counsel to the firm. In the 1970s, he served as Chairman of the New York City Board of Corrections. In other words, his contributions leave much to celebrate.